Written by: John Burton Jr. 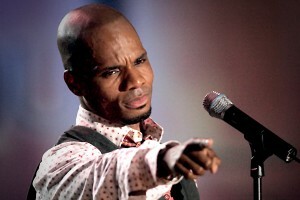 Gospel Superstar Kirk Franklin gains another #1 with “123 Victory” hitting the top spot on the Mediabase Gospel radio chart. “123 Victory”is the follow up single to “Wanna Be Happy?” and both come from Losing My Religion, his eleventh studio album. Franklin has been greeting fans in sold out venues across the country in his 20 years in One Night Tour . The last leg of the tour visits Alabama, Georgia and Massachusetts before the finale in Baltimore, Maryland at the Lyric Opera House on June 19th. This entry was posted on Wednesday, June 15th, 2016 at 12:32 pm	and is filed under Artist News and Updates, Charts, Concerts/Tours. You can follow any responses to this entry through the RSS 2.0 feed. Both comments and pings are currently closed.